CONSIDER will undertake research to establish a model of CSO participation in research. This will contrast theoretical views on benefits and limitations with empirical findings on the practice of CSO participation. 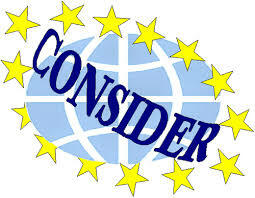 CONSIDER is an FP7 funded research project running from 2012 to 2015. Based on a grid of analysis, the project will survey all FP7 research projects. It will investigate 30 relevant projects as in-depth case studies. Using the conceptual grid of analysis and empirical data, a model of CSO participation in research will be developed. This model, representing relationships and causal effects of factors influencing CSO participation, will allow for comparative analysis of such to determine the role they play in achieving participation objectives. No such model currently exists, which renders it difficult to plan, implement and evaluate CSO participation in research. Stakeholders requiring such a model include researchers, research funders, policy makers and CSOs. CONSIDER will itself employ CSO participation. The project will develop a network of 100+ CSO actors to contribute to a richer debate as associate partners in the project. This approach will ensure that the project meets the expected impacts of the call and will have practical relevance to stakeholders. The project’s findings will lead to specific guidelines and policy recommendations for relevant stakeholders. CONSIDER will provide a necessary contribution for the further development of the European Research Area. Visit the CONSIDER website (external link, last accessed 28 March 2014).